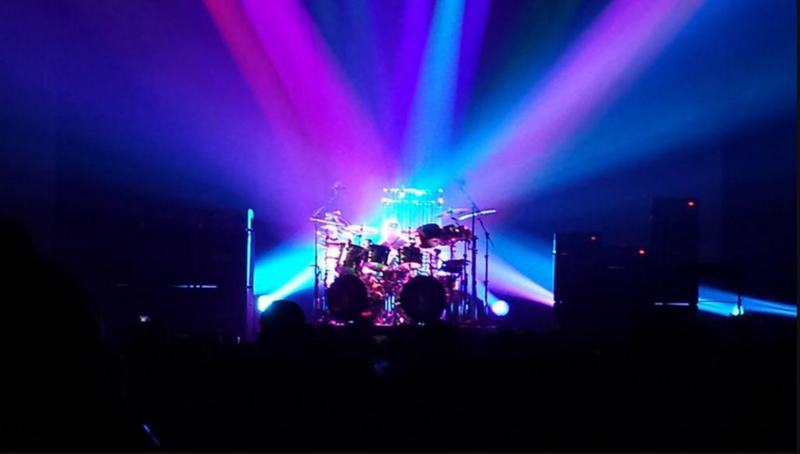 Awesome photo of Neil's drums before the show by @mojoguzzi. Thanks to @troxbirds for the photo on Twitter! 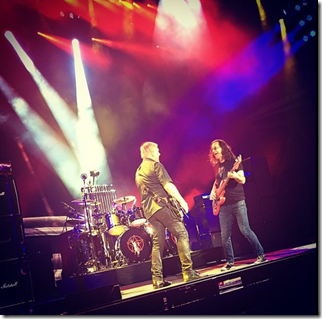 For the R40 Live NOLA show, we have three photos for you from Twitter. 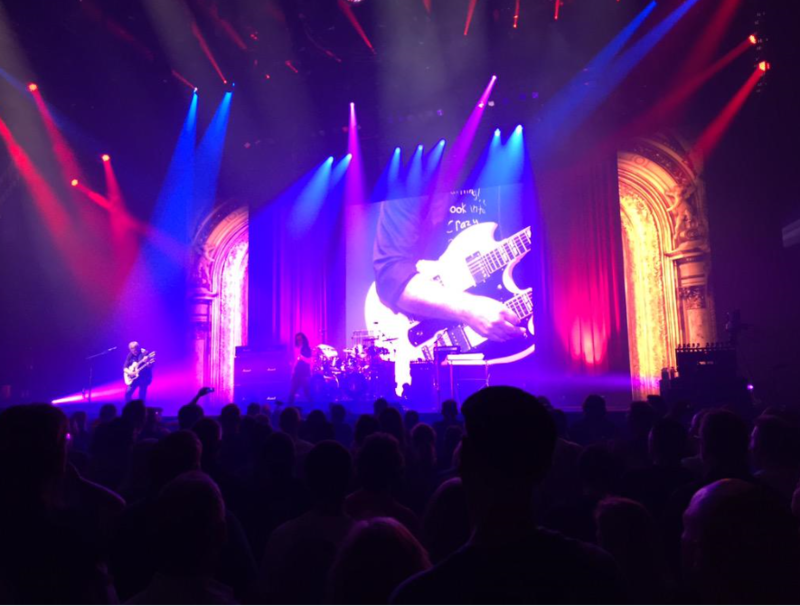 Thanks to everyone who shared photos at the show! This photo is from Marty Ellis on Twitter. 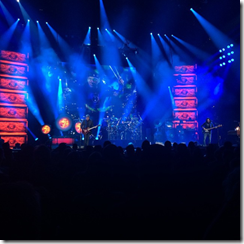 Thanks for sharing, Marty! This photo comes to us from none other than praetorian_animus (AKA, The West Side Beemer Boyz) on Instagram. 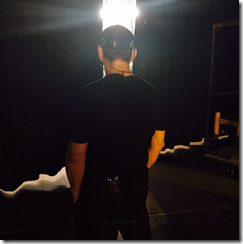 To get exclusive access to more backstage photos (and videos!) of Neil and Michael on the road, follow this account right now. 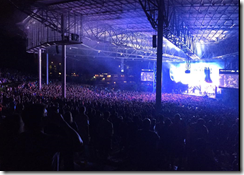 Caption: "Bubba awaiting his queue for second set. #dallas #WestSideBeemerBoyz #stageleft #gasmoney"
The photo of the night from the Austin, TX, show comes from @DeFrees. 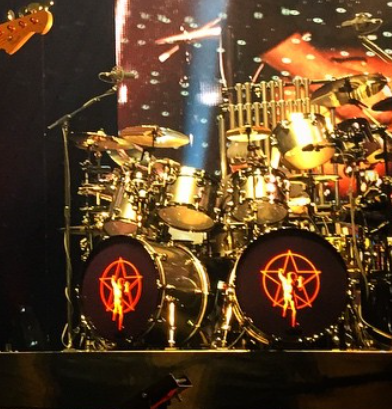 Rush played their second show on the R40 Live tour tonight. Like the Clockwork Angels tour, Rush appears to be swapping some songs each night. While we don't know how many sets we'll end up with, I'd expect at least three or four. In past tours, I used the official Rush tour photos for Photo of the Night. 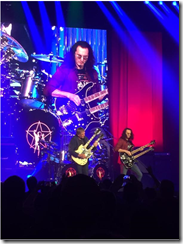 For this tour, it doesn't appear Rush is posting official photos as they have for many tours; instead, they're inviting fans to post to Twitter or Instagram using tags for each city (for example, #r40lnk for Lincoln, NE). 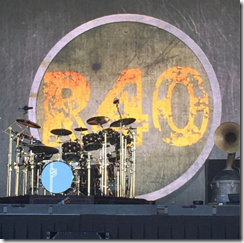 Given that this is the case, I'll be using one or more photos that have been posted using the #r40 tags. 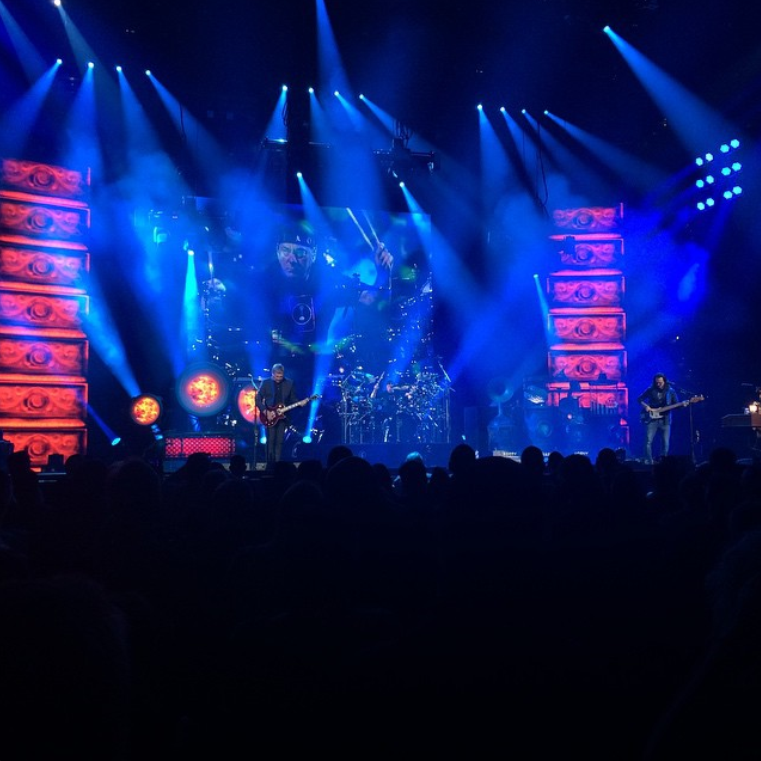 For Lincoln, the Photo of the Night comes from Michael Dixon. Thanks for sharing on Twitter, Michael! 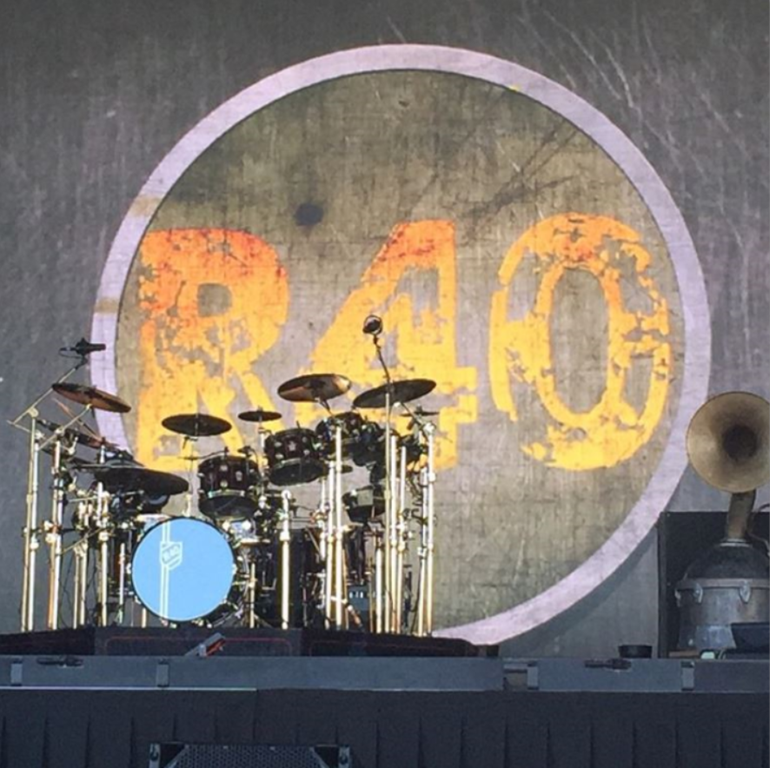 The first photo of the night for R40 Live comes from RushDude2112 on Twitter. There are a lot of nice details in this photo, but you have to look closely! By all accounts, the opening R40 Live show in Tulsa, OK, was everything the fans expected -- and more. 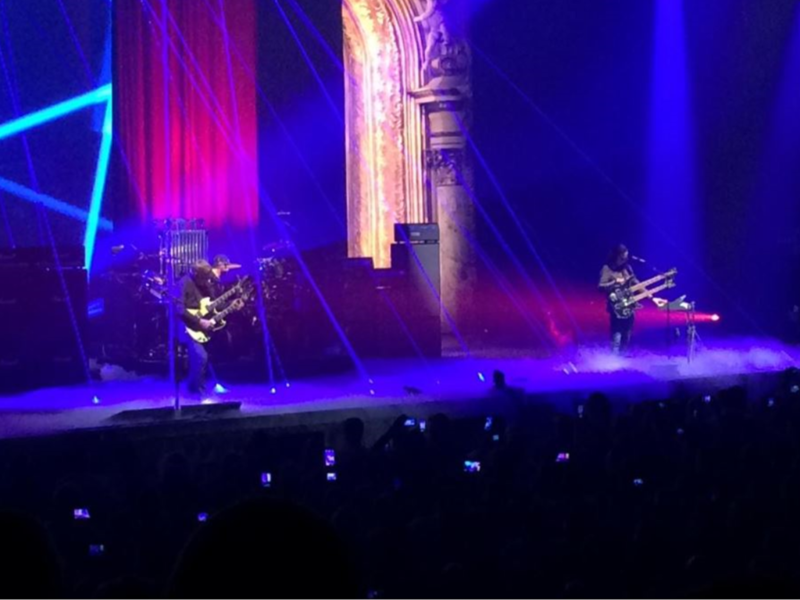 As Jack Black might say, "Minds were blown." Like many fans, I followed along virtually on Twitter, thanks to: @3C_Ranch, @BooksR4Tourists, @hoyboy, @gibbons_gary, @realmikebridges, @analogkidmike, and, @keezles_D (and many others!). Here are a few notes about the opening night, as well as a few pictures. NOTE: There are major SPOILERS here. Close this page now if you don't want to know the details! 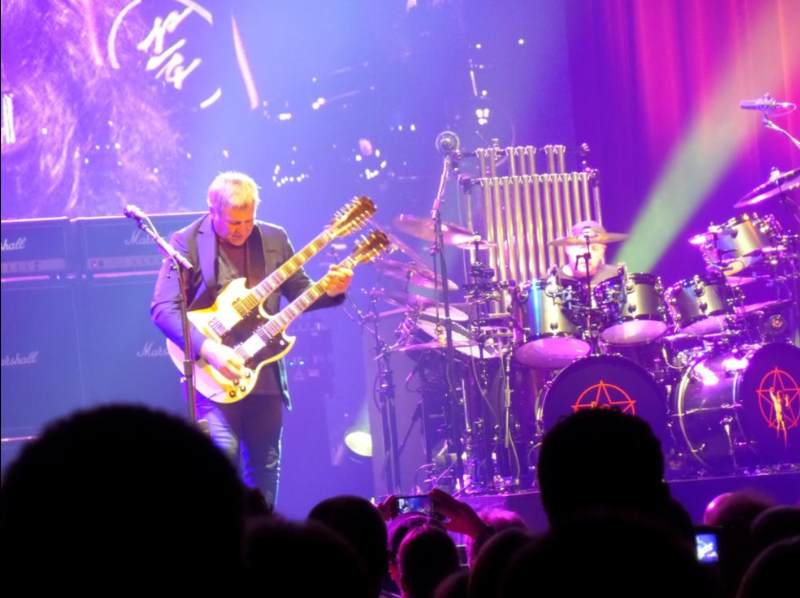 Rush started the show with the Clockwork Angels stage set up and songs. 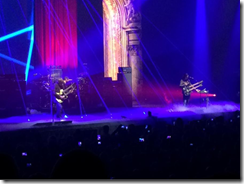 Many fans noted their confusion about why the band would do this. 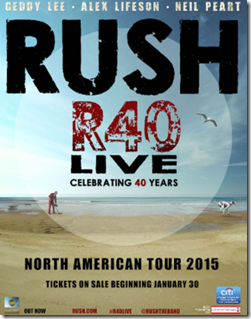 As we soon found out, this was what Rush wanted everyone to think. Then, the Moving Pictures guys showed up. They started moving equipment off the stage. In its place, they revealed older stage props (sorry no photos of these guys yet). 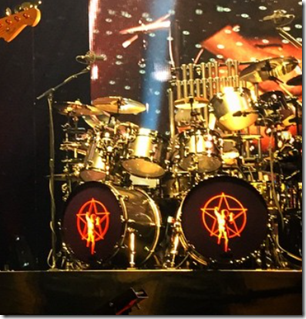 Yes, folks, those are two bass drums with the retro Rush Starman logo. But if you look closer, you'll see that this DW kit has a "Chromey" finish -- as well as concert toms. If you look even closer, you'll see tubular bells in the background. This is something I honestly thought I'd never see again! Thanks to everyone for sharing their photos and stories tonight! 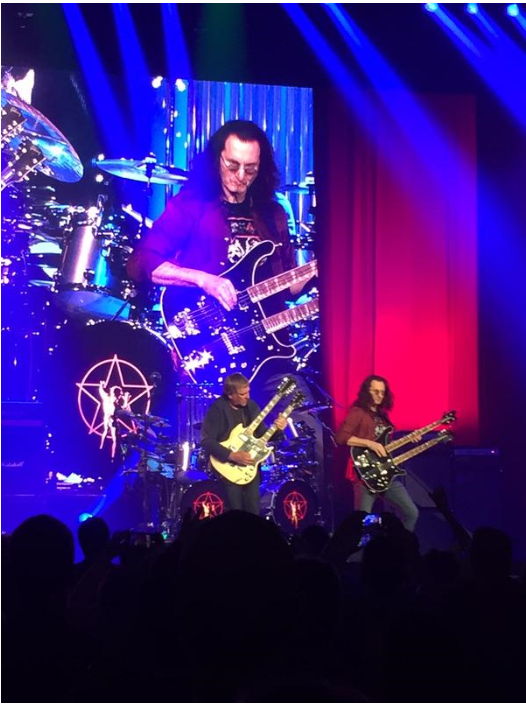 Tonight Rush kicks off their R40 Live tour in Tulsa, Oklahoma. 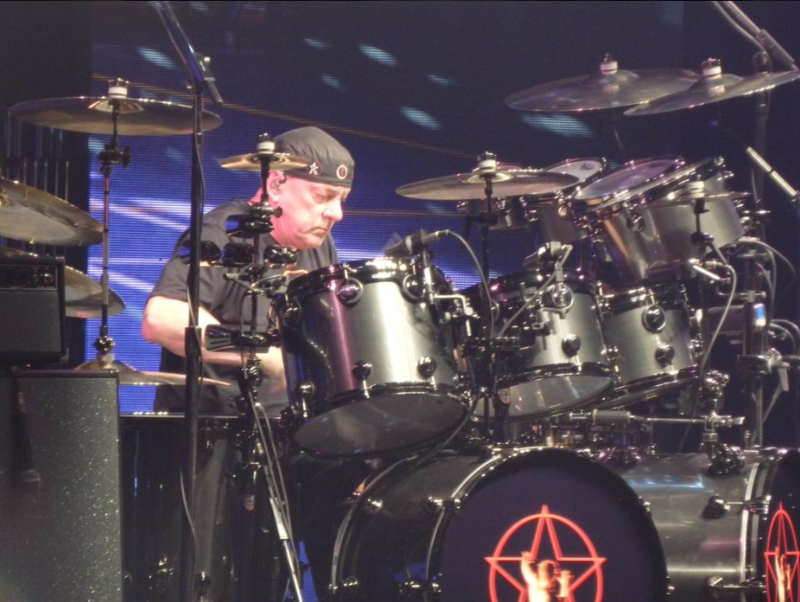 As most fans know, this tour could be Rush's last major tour, so it should be a big celebration full of many surprises. 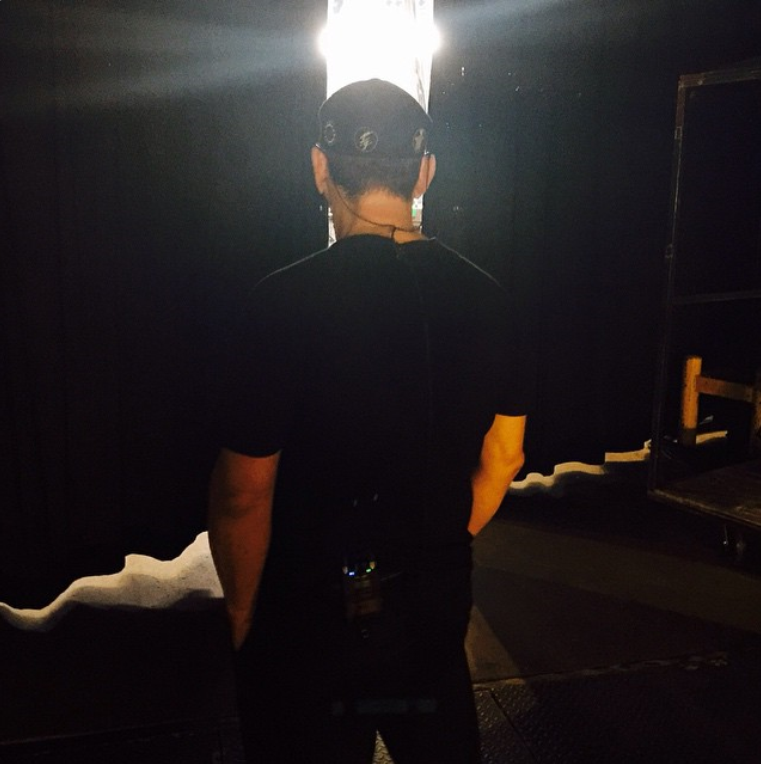 Twitter: Look for retweets as I get them from fans, the band, and the crew. 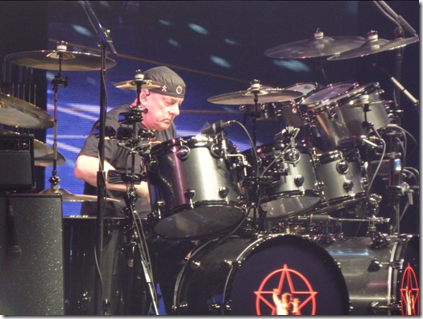 Photos of the night: As with previous tours, I'll be selecting photos from the official Rush site and fans. 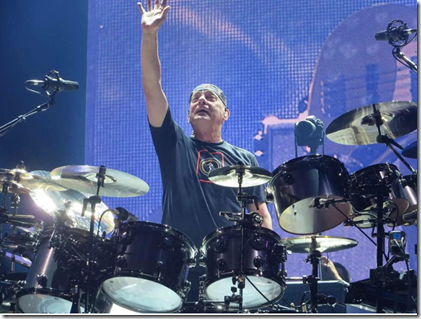 R40 drum kit page: More updates about Neil Peart's new kit, including photos, specs, and more. 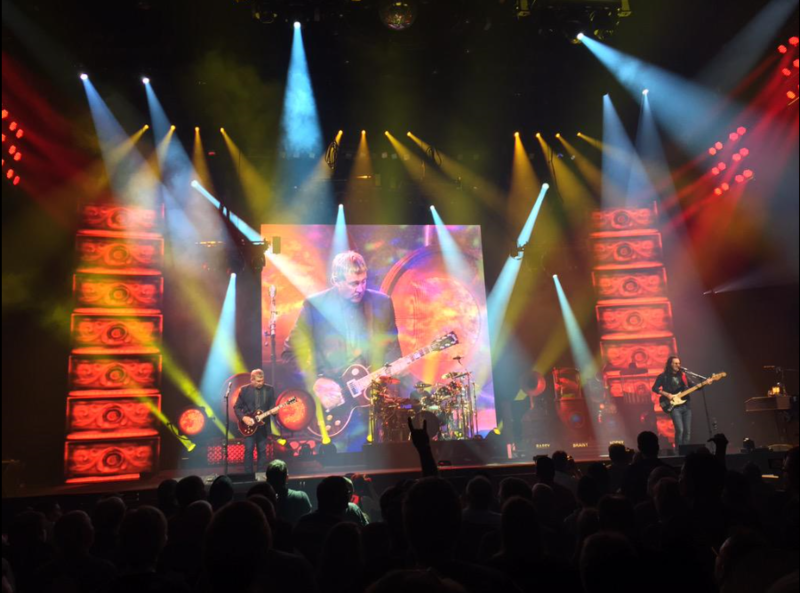 As we learn more about the set list, look for a new page in the Tours section for details. 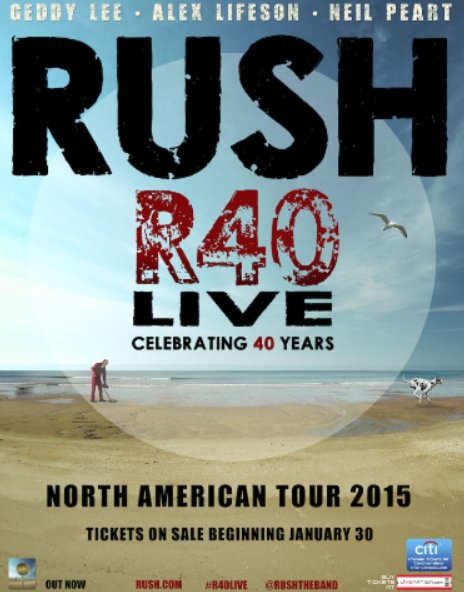 If you're going to the show tonight, have fun!